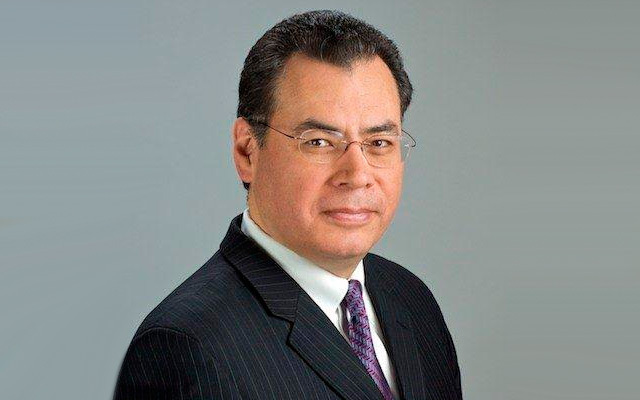 Mario M. Carrera has been with Entravision for 13 years and, as Chief Revenue Officer, leads all of Entravision’s sales activities for Radio and Television. He has over 30 years experience and has been recognized for his outstanding achievements in media. In this interview, Mario discusses the origins of his career and how Sales play an important role in media. How did you get into media sales? Early in my college career, I became a photojournalist for the Harvard Crimson, the student run daily newspaper. I was actually very interested in media because of the significant role it plays in our lives and society, and the responsibility that media organizations have to the communities they serve. As I researched film, newspapers, radio and television, I realized that sales was an important part of what determined programming, content, and the management of media organizations. I wanted to understand and learn everything I could about the industry, and that’s how I got into sales. Within sales, I identified Spanish language media as the best fit for me because it mapped back to my interests, needs, culture, and community. That said, at that time getting hired in a very competitive environment in a top market like Los Angeles was tough, so I went back home and started as a relief driver for the Santa Barbara News Press’ Circulation Department in general market. Not long after I had started at the Santa Barbara News Press, they made me a Sales Intern, and I quickly moved into the top retail display ad list for the newspaper, handling about half of State Street with accounts such as JC Penney. After the Santa Barbara News, I landed on my first highly desired Spanish language media job at KMEX (Univision) as a Marketing Assistant, and could not have been happier! While in Denver at KCEC-TV, we received the Best 2010 Public Service Campaign Award from the Colorado Broadcasters Association. This is given to a market station (English or Spanish) for delivering a significant, impactful community campaign. We developed 26 episodes of a Social Cause Marketing drama series, 30 minutes each, funded by the Colorado Health Foundation to promote Latino health. We wrote, produced and promoted those episodes, and Colorado Health Foundation put in over $1 million to that effort. I was very proud of the entire team’s effort and consider the Award a highlight of my career. The effort literally improved the health and well-being of our community and saved lives. Secondly, during my years in Fresno, we re-built a Univision owned and operated station, staffed it, generated morning programming, and assembled a sales team from the ground up. The station had been there for 20 years but had low revenue growth, minimal market share, and other challenges. We restructured the station, and in the process developed very strong alliances with different organizations, including the United Farm Workers with Cesar Chavez (89-94). This was another highlight of my career. But I must say, what I am most proud of –a key highlight of my career– was to be appointed by the Chief Justice of the Colorado Supreme Court to be Chairman of the Colorado Reapportionment Commission. The Commission is responsible for drawing the districts for state legislature representation: 35 for Senate; and, 65 for the House.I chaired an 11-member commission: 5 Democrats; 5 Republicans; and, I, the only Independent in the group. We successfully drew the first set of court approved districts, including 38 competitive districts (out of 100); 15 majority Latino districts; and, 24 Latino influence districts. As a result of this work and the support from Entravision to participate in this next election in November 2016, we may witness for the first time in Colorado and United States history the first Latina Speaker of the House and, at the same time, the first Latina President of the Senate for the Colorado State Legislature. Once this process is completed, the Supreme Court approves the maps and they stay in place for 10 years, as they coincide and validate Census changes. This was not only a significant undertaking but I would argue that it’s the highlight of my career to date. How has the industry changed since your career began? We could say that it is the difference between the Wright Brothers and the Space Shuttle. These changes in technology and social media are creating a huge disruption. We are getting so confused in how we personally engage with each other. We do not have any established or real protocols in how we behave and manage our lives. How many of us have seen or experienced unforeseen problems with family due to Facebook? Social media is overwhelming people. The speed at which things are changing is extremely fast, especially in the last ten years. We need to not only keep up, but stay ahead of the change as much as possible! Biggest evolution in the next ten years? Digital has been here for more than ten years already. Google and other companies are barely that old. But it will continue to be DIGITAL. Some people are still in disbelief within our industry and are being left behind. In the next ten years, those that don’t understand digital media will not be here. Remember the movie Minority Report? We’ll be living that in the relatively near future.